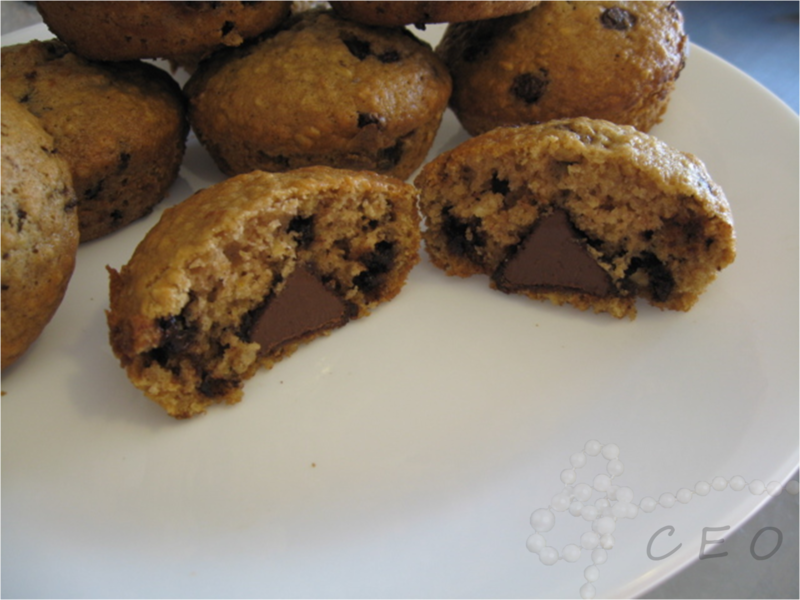 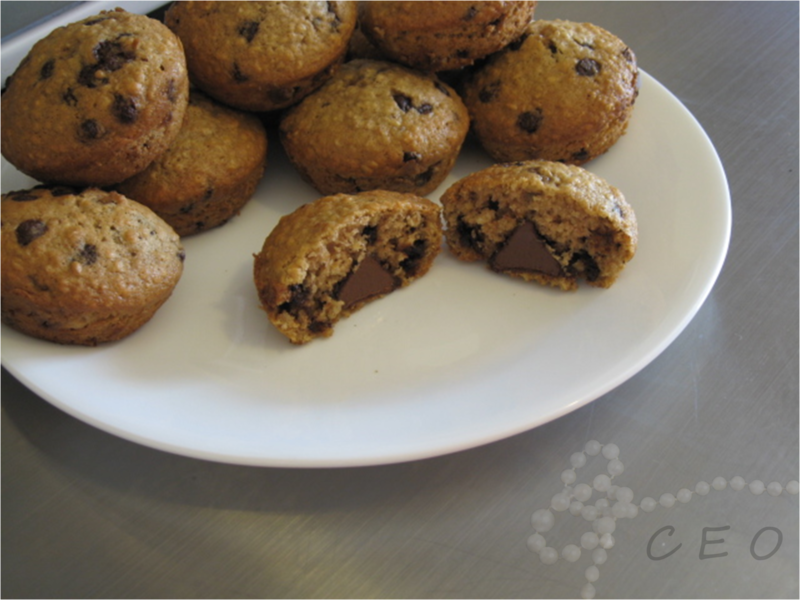 I REALLY like chocolate chip muffins, so I decided to get creative and add some Hershey Kiss love to the recipe! 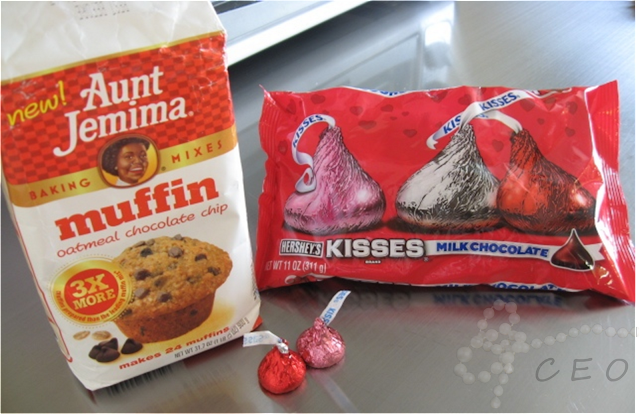 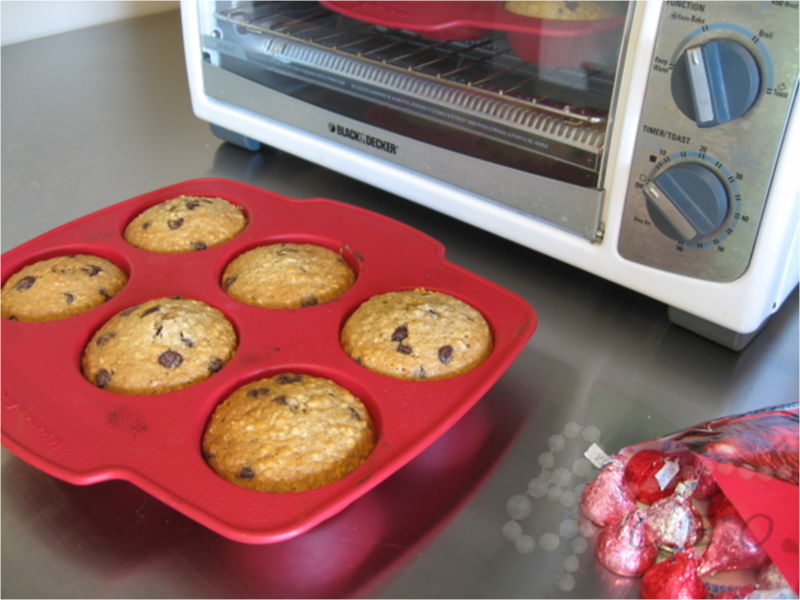 Here's how to create a wonderful breakfast with a surprise Hershey Kiss in the middle of your muffins! First, prepare chocolate chip muffin batter as you normally would. 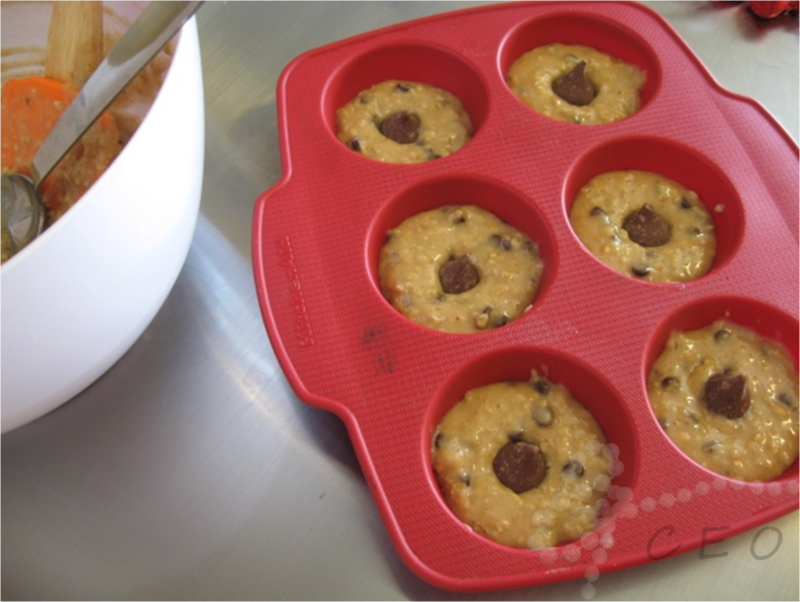 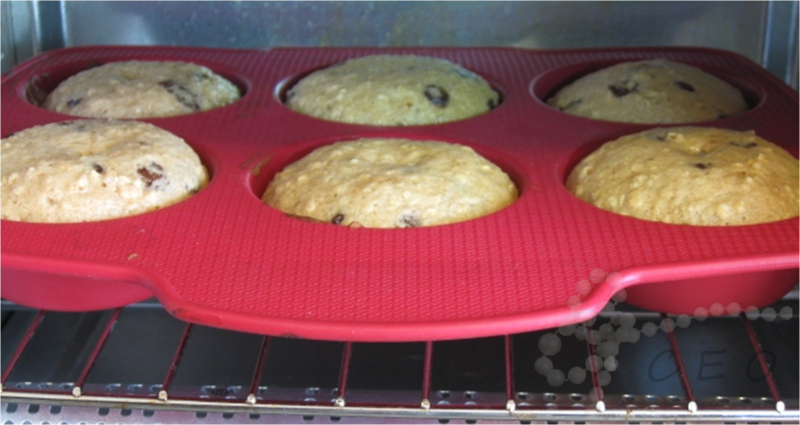 Second, fill muffin tin up only half as much as you normally would for your muffins. 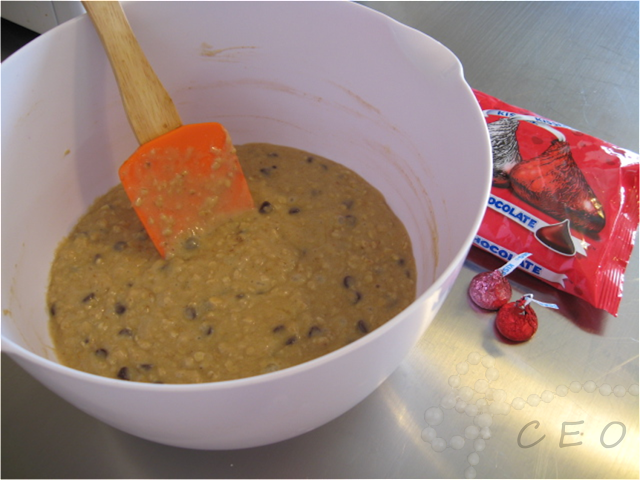 Third, stick a hershey kiss down in the batter, bottom side down. 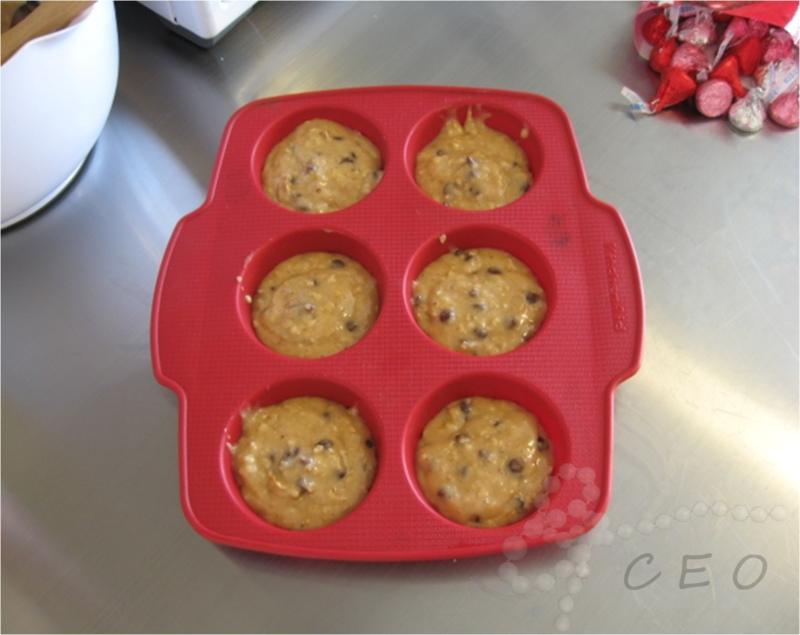 Fourth, fill muffin tin the rest of the way, covering Hershey Kiss peaks. 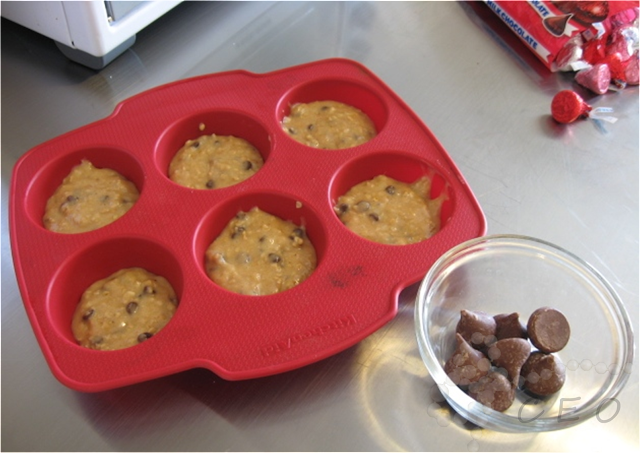 Fifth, bake as per the directions of your chcocolate chip muffin recipie. 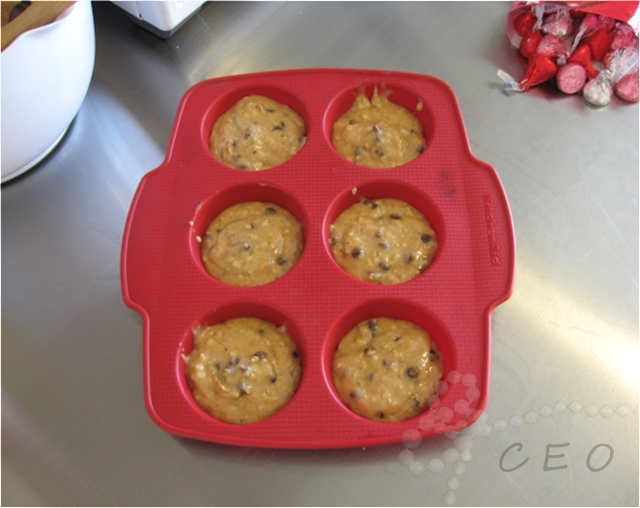 Sixth, take out of the oven and let cool about 2 or 3 minutes.